Weber BBQ Grill Replacement Parts For All Models. 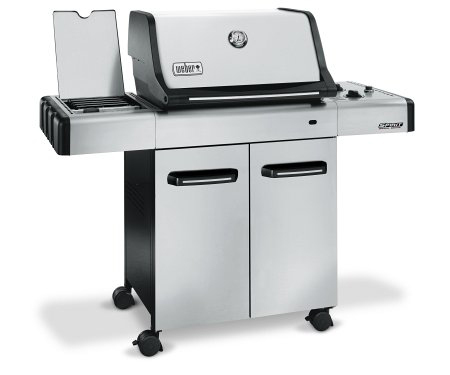 Weber gas barbeque grill replacement parts are available to repair all Weber BBQ grills. Genesis, Spirit, Summit, and all the New Weber E, EP, S and other new grill parts and accessories are available here. 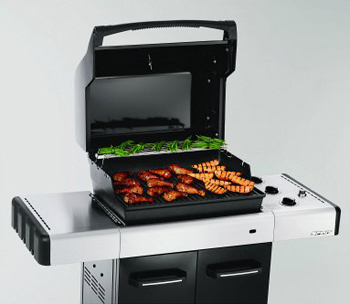 Original Weber gas grills held the same form for decades but from 2007 to today weber has undergone one change after another. Fromadministrative changes in management and distribution to new repair parts rulings and changes in manufacturing locations Weber is evolving into a new company with a lot of new models. 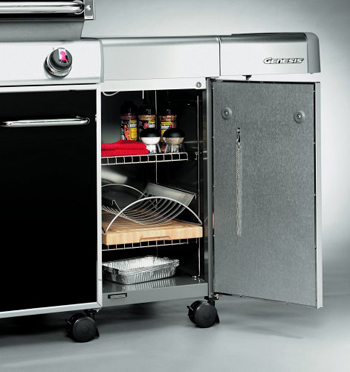 New barbecues have extra pipe bunrers for searing and burners mount front to back after three decades of grills designed with grilling burners left and right. New Weber grill islands and colors have attracted new clients and a strong commitment to service makes the Weber gas bbq grill models worth every penny. 900 - 1100 - 3711001 - 101001 Gas Kettle - E-210 - E-210LP - E-310 - E-320 - EP-320 - Genesis 1000 - Genesis 2000 - Genesis 3500 - Genesis 5500 - Genesis Gold B - Genesis Gold B 2000D01 - Genesis Gold B 2000D1 - Genesis Gold B 2002D - Genesis Gold B pre-2000 - Genesis Gold B pre-2002 Genesis Gold C - Genesis Gold C 2000d1 - Genesis Gold C 2000d2001 - Genesis Gold C 2002d - Genesis Gold C pre-2000 - Genesis Gold C pre-2002 - Genesis IDV - Genesis Platinum B - Genesis Platinum B 2005 - Genesis Platinum C - Genesis Platinum I - Genesis Platinum II - Genesis Silver A - Genesis Silver B - Genesis Silver C - Genesis Spirit 500 - Junior - Platinum B 2005 - Platinum B pre-2005 - Platinum B pre-2006 - Platinum C 2005 - Platinum C pre-2005 - Platinum C pre-2006 - Platinum I - Platinum II - S-320 - SP-210 - Spirit 500 - Spirit 700 - Spirit E-310 - Summit 400 - Summit 600 - Summit 625 - Summit 650 - Summit 675 - Summit Gold A - Summit Gold A4 - Summit Gold B - Summit Gold B4 - Summit Gold B6 - Summit Gold C4 - Summit Gold D - Summit Gold D4 - Summit Gold D6 - Summit Silver A - Summit Silver B - Summit Silver C - Summit Silver D.
Weber gas barbeque grill have the best reputation for high quality barbecues without high price tags. While a Weber is more expensive than a Charbroil or a Charmglow the difference in quality is much higher than the difference in price. 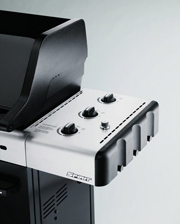 As dealers of Weber gas barbecue grills and gas bbq grill replacement parts Weber has an agreement in place to keep replacement grill parts available for a minimum of 10 years after a model has been discontinued.